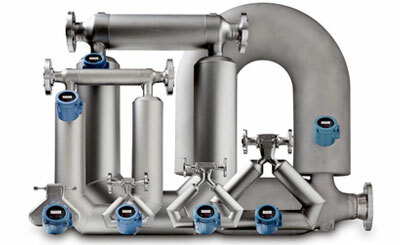 Micro Motion® ELITE® Coriolis Flow and Density Meters - EMERSON-Micro Motion - Honeywell,Micro Motion,Rosemount-Shanghai Wanchang Industrial Co.
confidence in your most complex and challenging liquid, gas, and slurry applications. Micro Motion® Technical Overview and Specification Summary and other resources available at www.emerson.com. flow rate and density of the fluid. The measuring tubes are forced to oscillate producing a sine wave. At zero flow, the two tubes vibrate in phase with each other. waves is measured and is directly proportional to the mass flow rate. corresponding change to the tube natural frequency. The frequency change of the tube is used to calculate density. compensate for temperature influences on Young’s Modulus of Elasticity. sensor be sized using the Online Store Sizing and Selection Tool at the Emerson web site (www.emerson.com). molecular weight of 17 at 60 °F (16 °C) and 500 psig (34 barg).